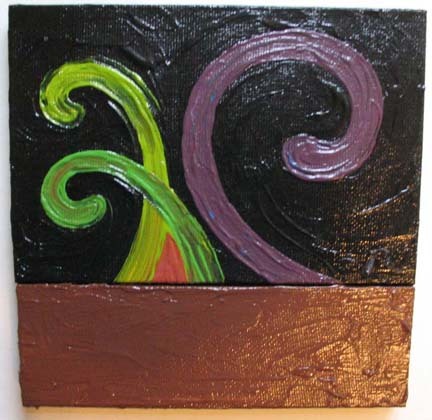 Paintings is 6 inches x 6 inches, acrylic, price upon request. Completed in Norwich, Connecticut during the week of October 25, 2004. Please [contact] me regarding this work.